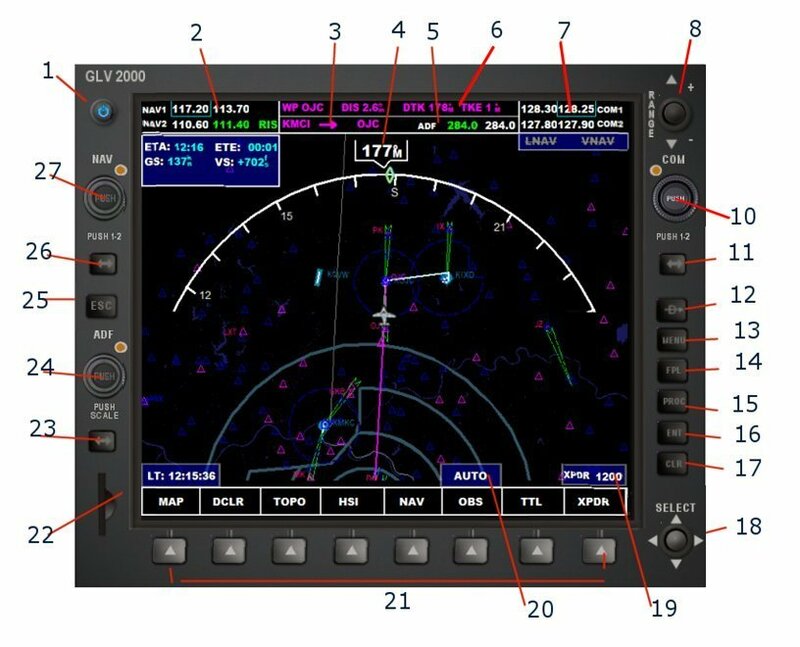 The GLV2000 uses standard Flight Simulator flight plans. However, it also incorporates the ability to add and remove waypoints as you like. 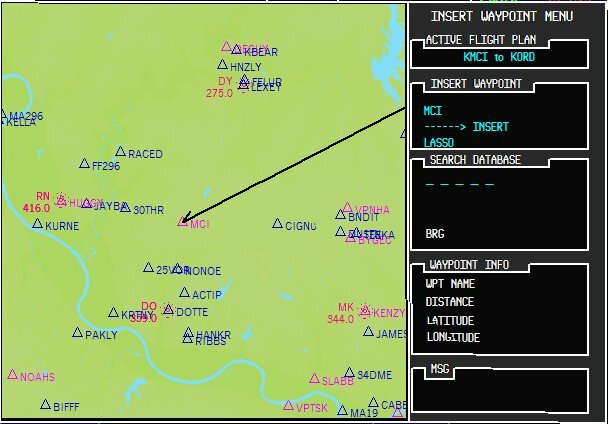 An easy to access menu from the Flight Plan page utilizes the GPS engine's database to allow you to search for and insert waypoints anywhere within the flight plan. Here is a diagram of the user interface and controls. Using multi-function keys, the system is very powerful and provides the pilot with everything needed for both vertical (VNav) and lateral (LNav) navigation. Two compass modes are available; Arc Mode and HSI Mode. 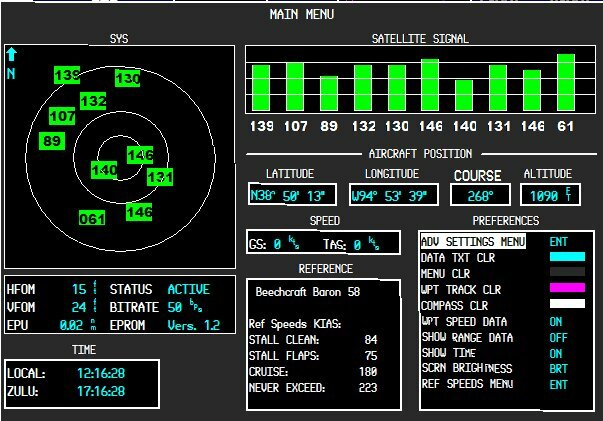 The color of the compass rose is user selected via the main menu, which provides the pilot with extensive control over both display schemes/colors, and system preferences. The Totalizer is an instrument for fuel flow information to the GPS receiver, providing distance and estimated fuel needed en route. Additional calculations and display of fuel management data is provided for each waypoint in the flight plan. If insufficient fuel will be available, according to current tank levels, annunciation is provided that will let the pilot know exactly where en route refueling will be required.